The annual “Let’s Talk Turkey” community service project took place at Townsend Elementary in November. The premise is to collect change to help buy turkeys for the Walton Food Bank. The school this year collected about $170, with Beth Core’s first-grade class raising the most out of all the classes. 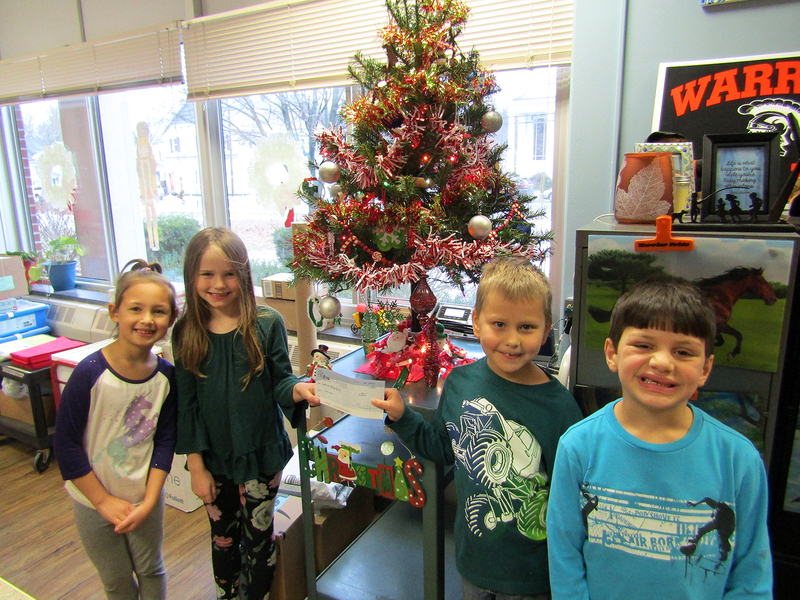 Photo caption: Students from Beth Core’s class display the check that was sent to the Walton Food Bank. From left are: Isabella Fogliano, Rylee Mead, William Voorhies, and Anthony Salvia.